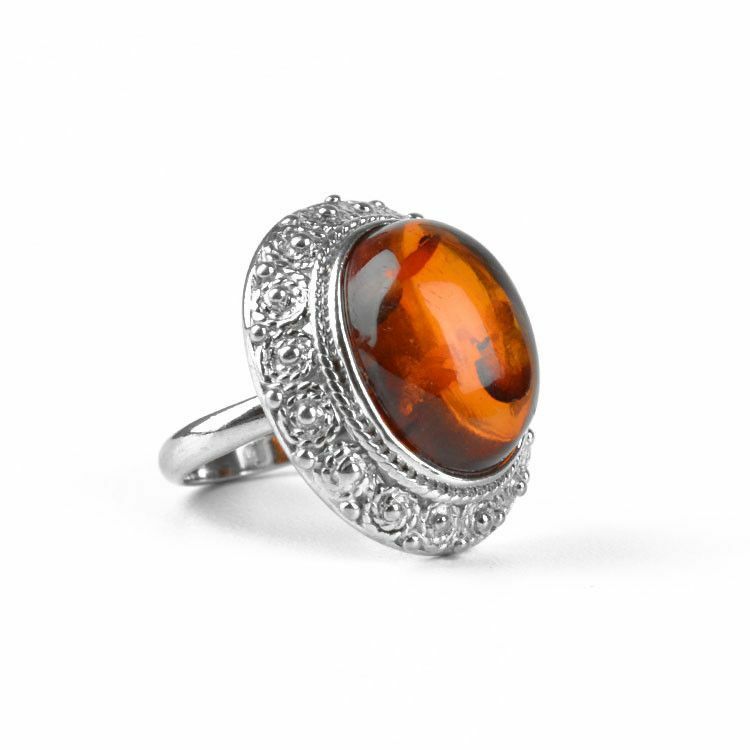 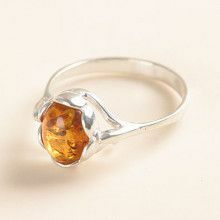 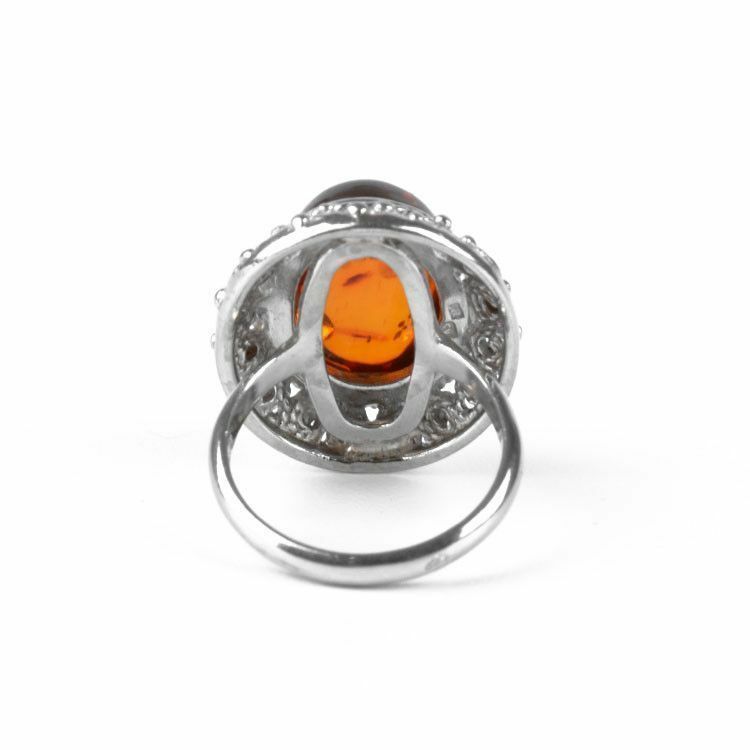 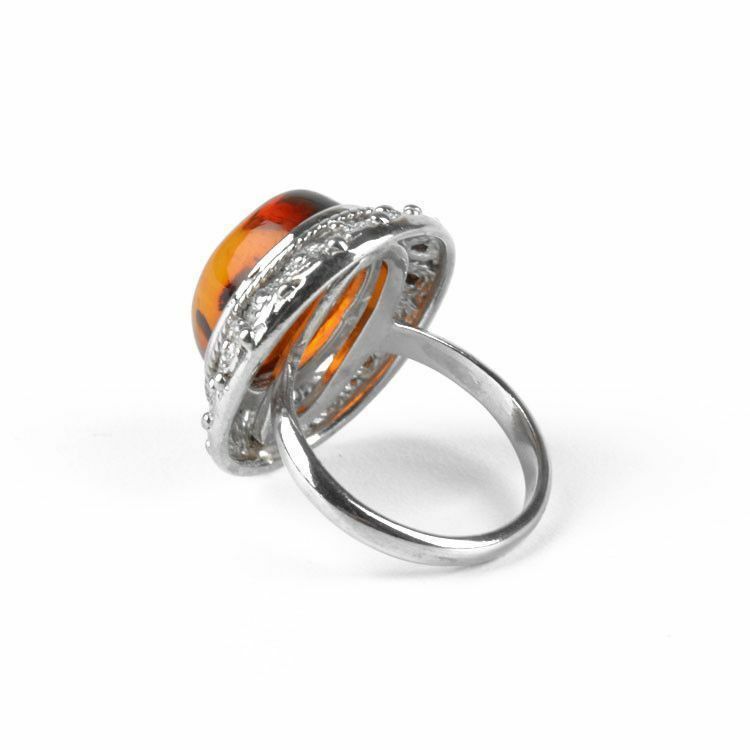 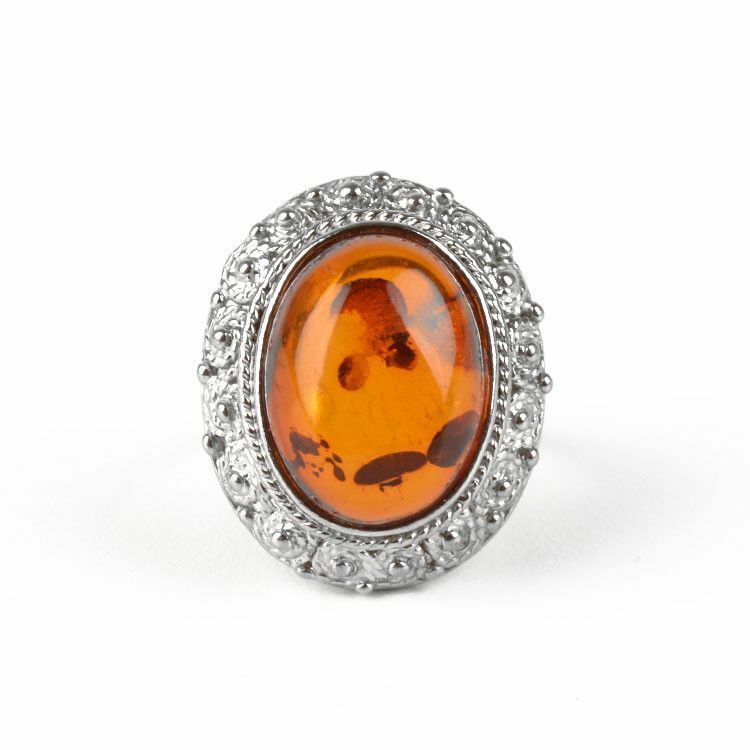 This exceptional size 7 ring features a large and genuine Russian honey amber stone, approximately 5/8" long and 1/2" wide. 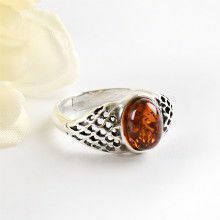 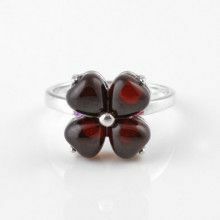 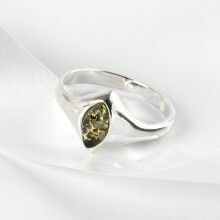 The naturally beautiful gem is situated in a stylized border of sterling silver. 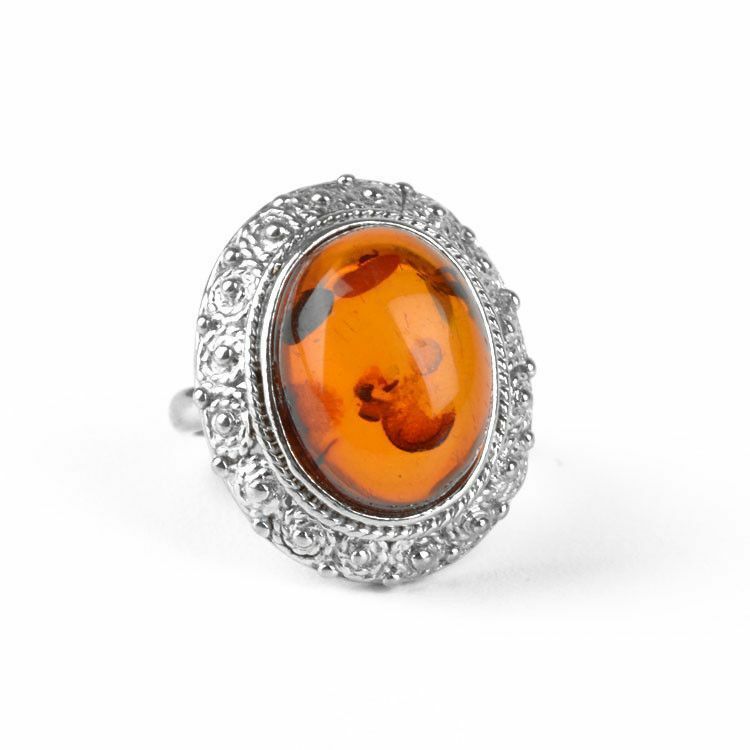 This grandiose ring is an excellent jewelry option for anyone who loves cocktail rings!